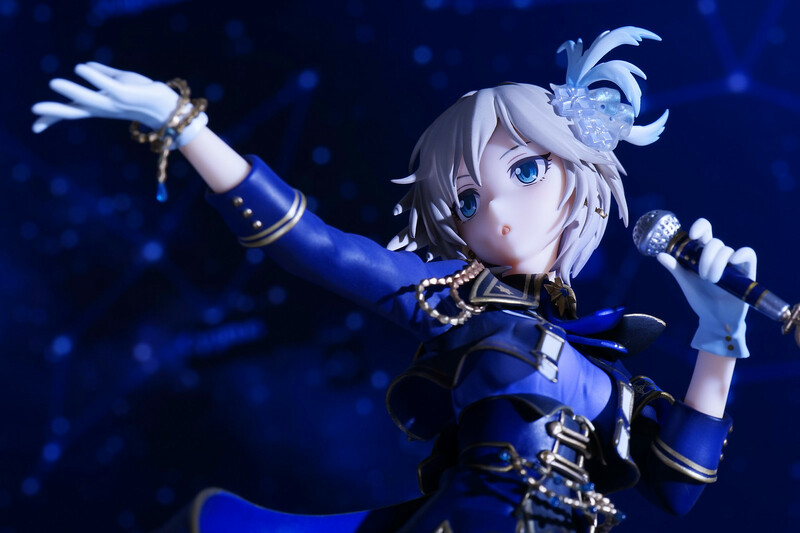 Its time to open GSC’s 1/8 Anastasia: Story of Revolving Stars Ver. 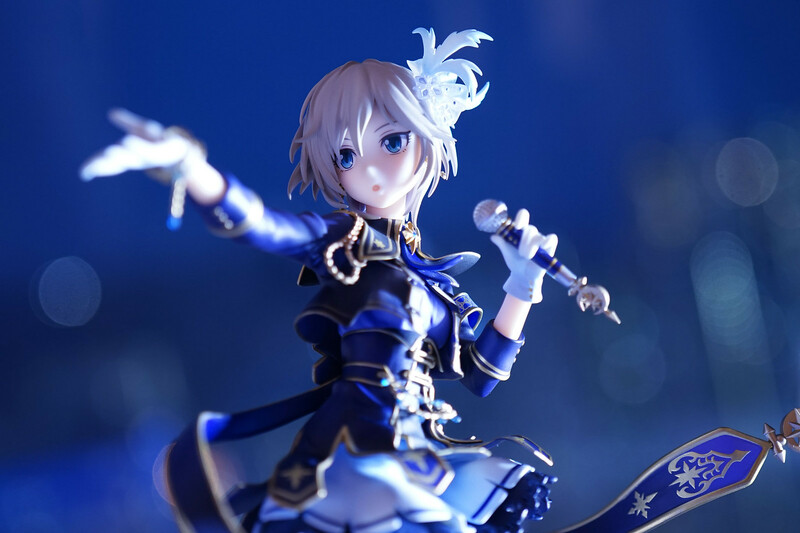 (haven’t been shooting figure photos for 3 months indeed..). 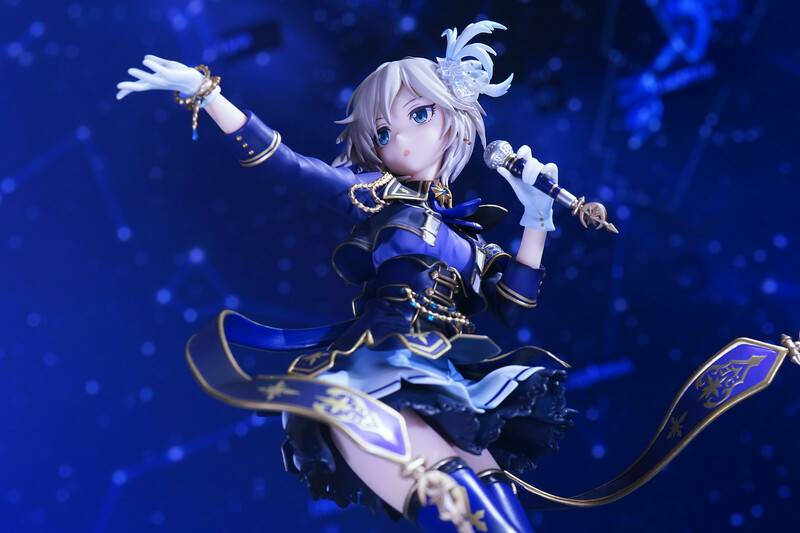 While Phat!’s LOVE LAIKA ver. 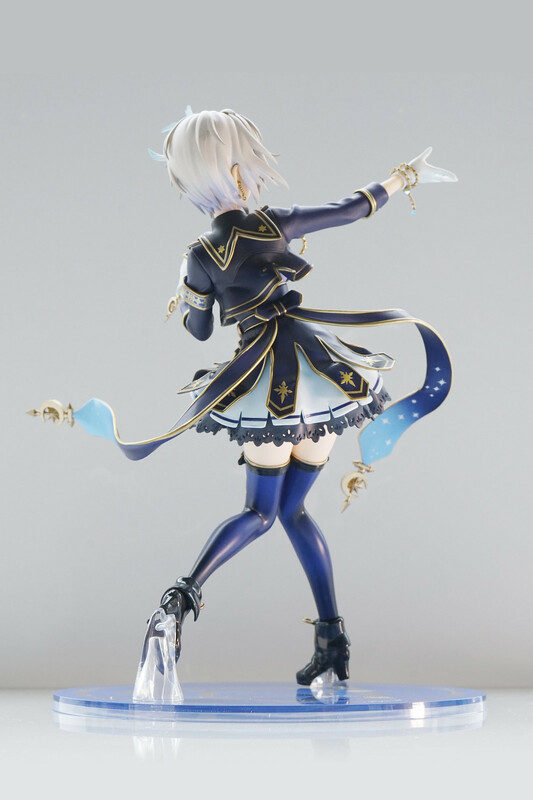 and Alter’s Memories ver. 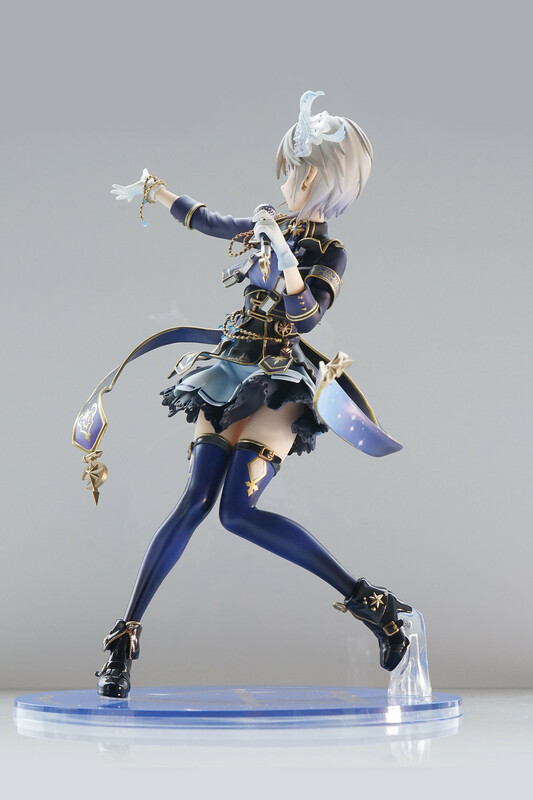 based on the TV Animation, GSC’s ver. 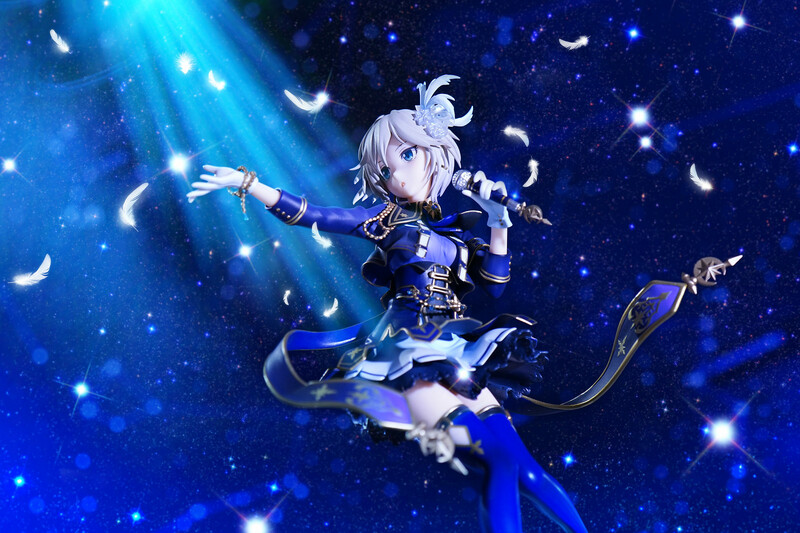 is based on the illustration from the game Starlight Stage. 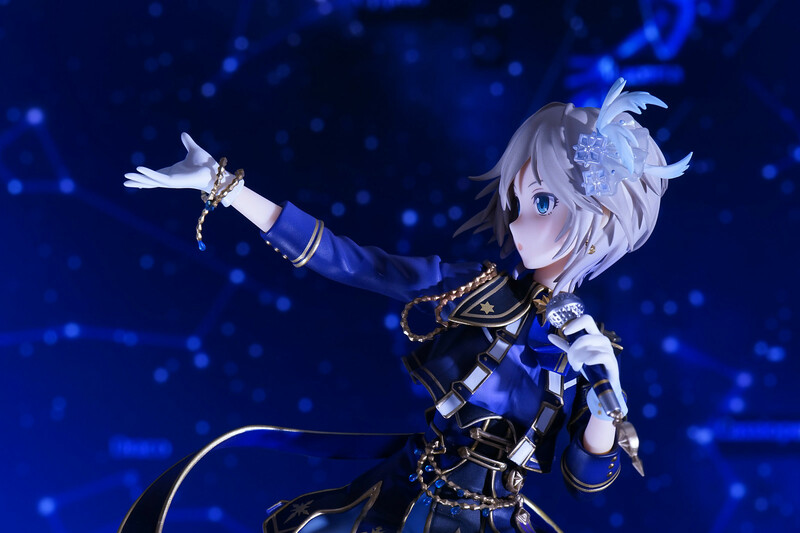 It is a perfect 3D-repoduction of the 2D illustration of SSR+ Anastasia, just like one still frame of Anya’s moving performance on the stage. 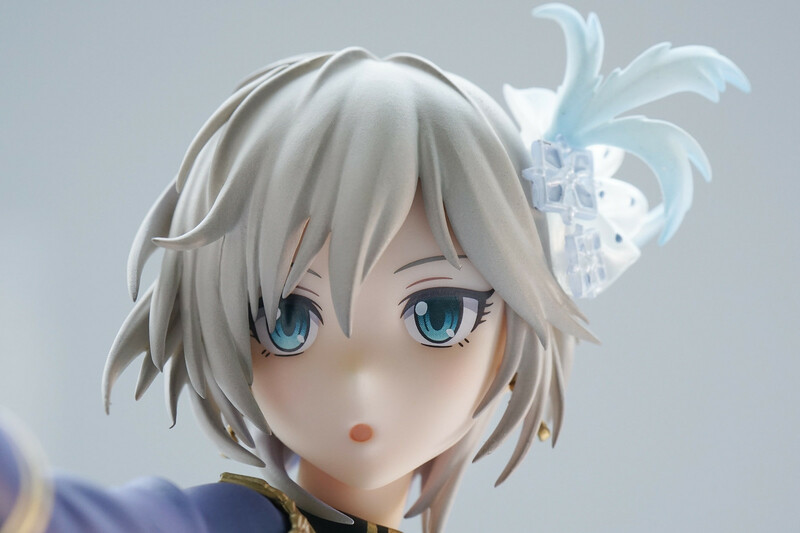 I prefer GSC’s face sculpture of Anya to Alter’s and Phat!’s ver. 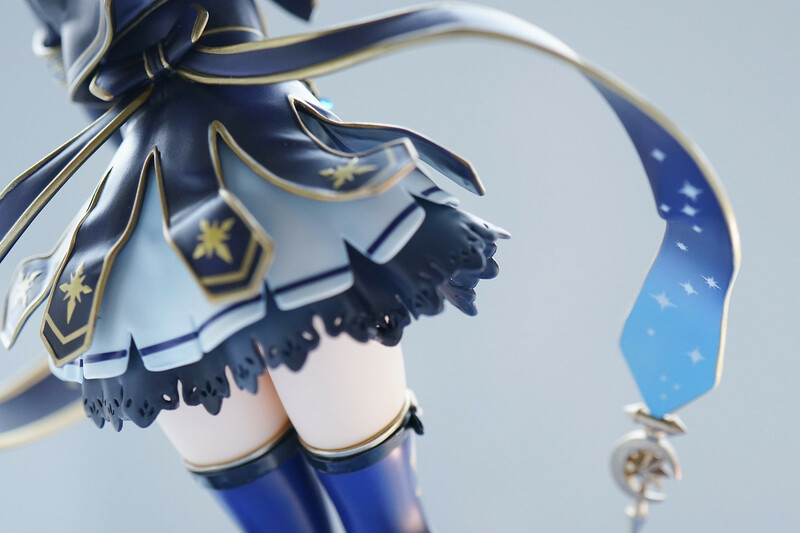 Cloths were made with every single details. 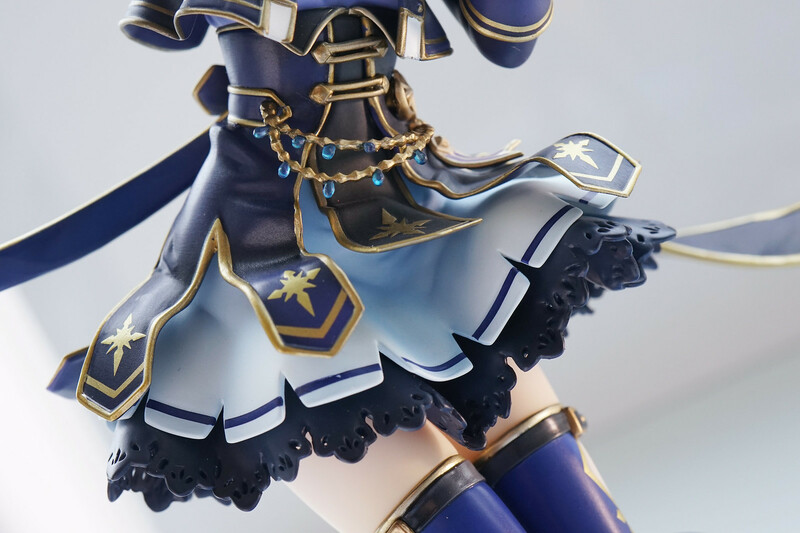 The contrast of dark blue and gold looks elegant with gradation painting. 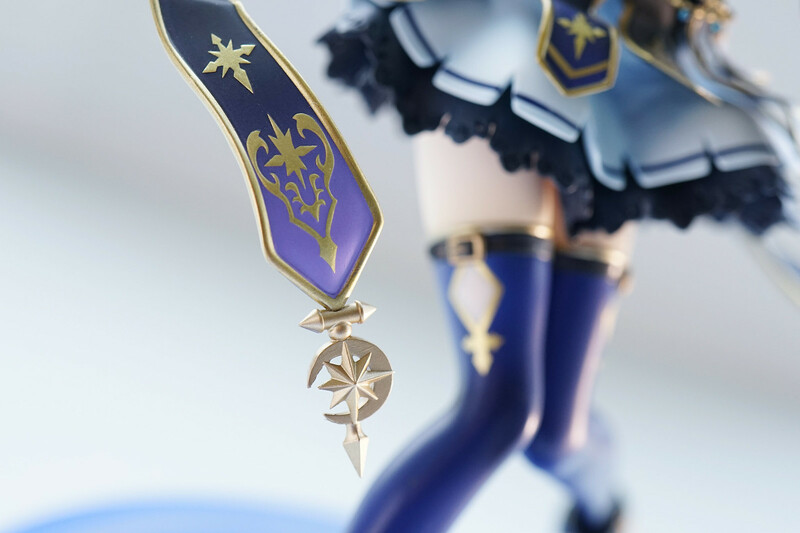 “Cool” idol logo printed on the stand. 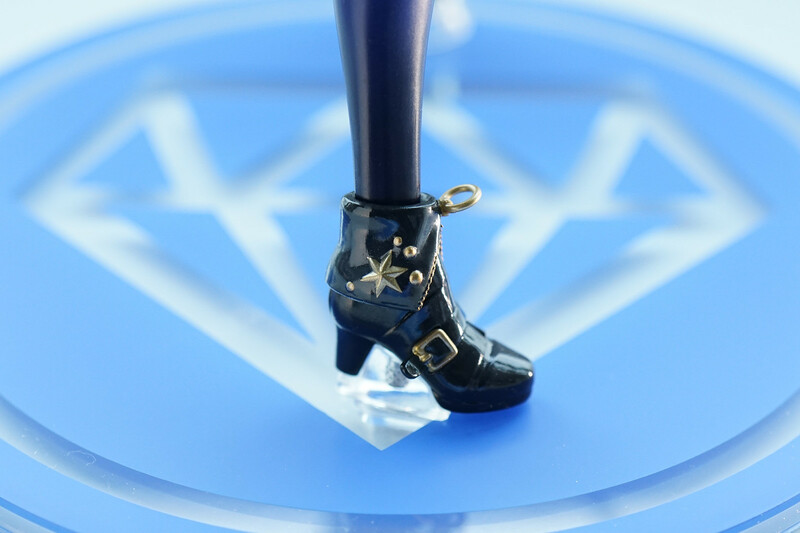 The boots looks shiny with glossy painting. 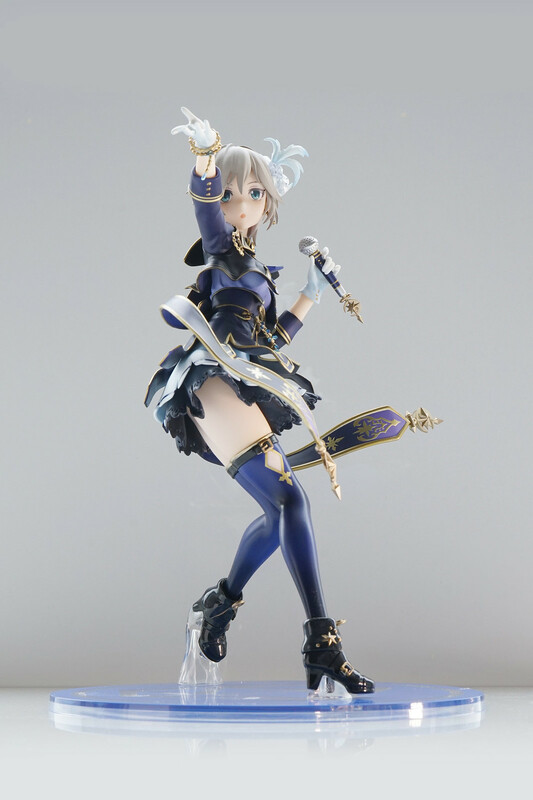 Haven’t bought GSC’s IDOLM@STER figures for quite a long time. 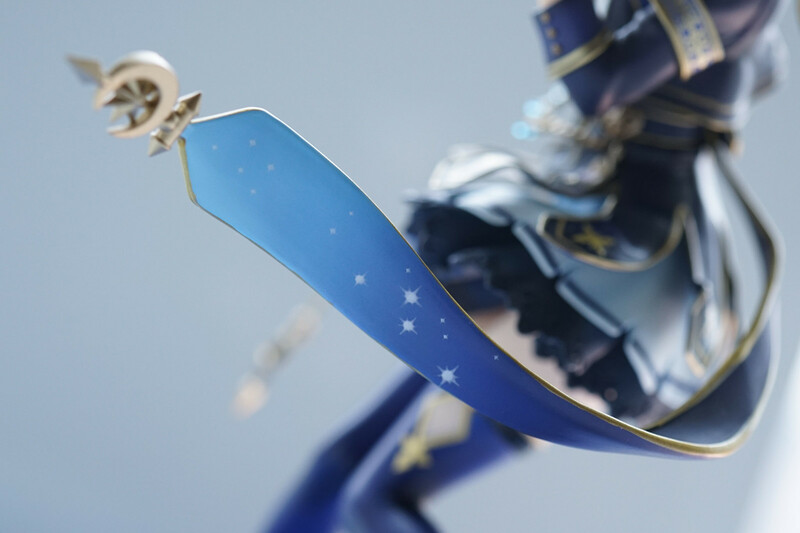 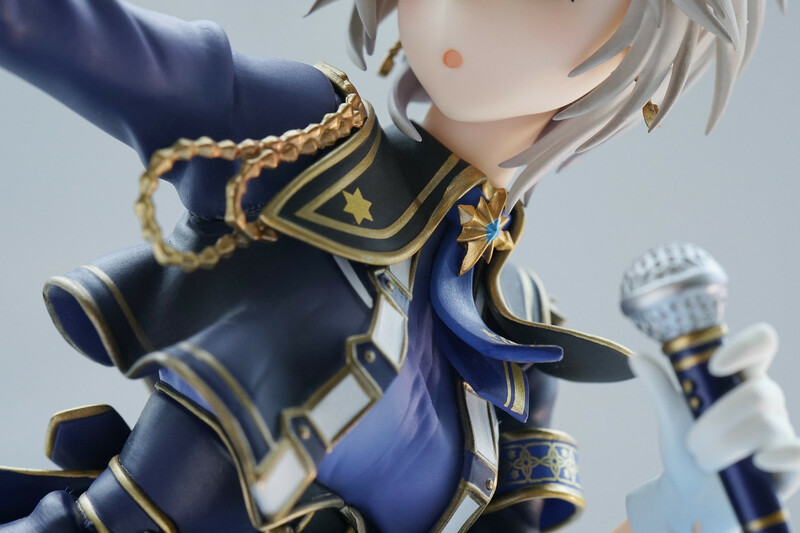 The quality is just perfect…it would be grateful if GSC could continue to make SSR illustrations into figures. 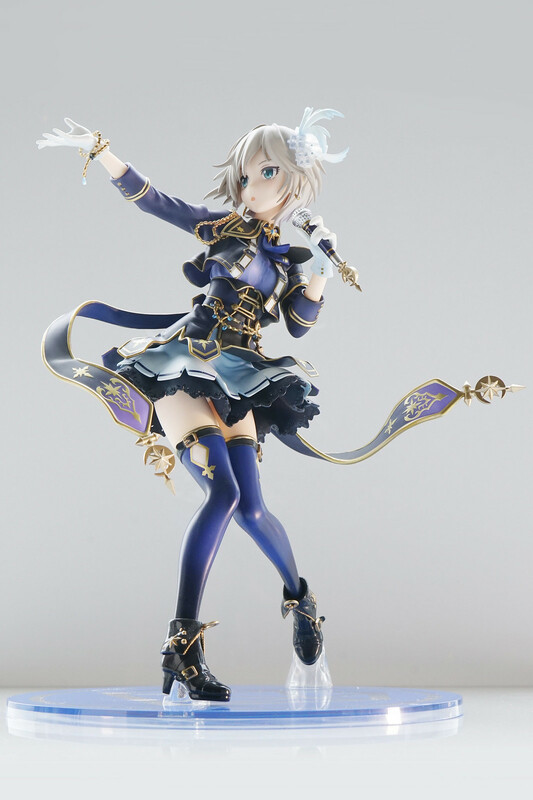 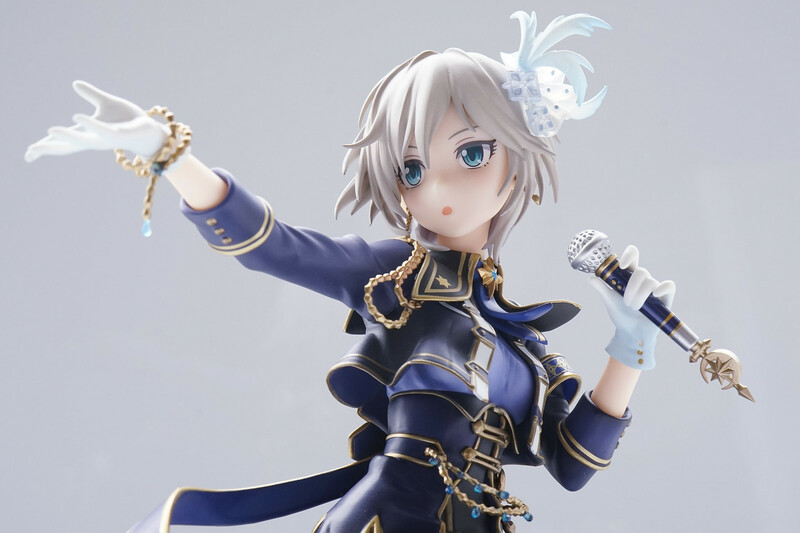 Thats all for Goodsmile Company’s 1/8 Anastasia: Story of Revolving Stars Ver. 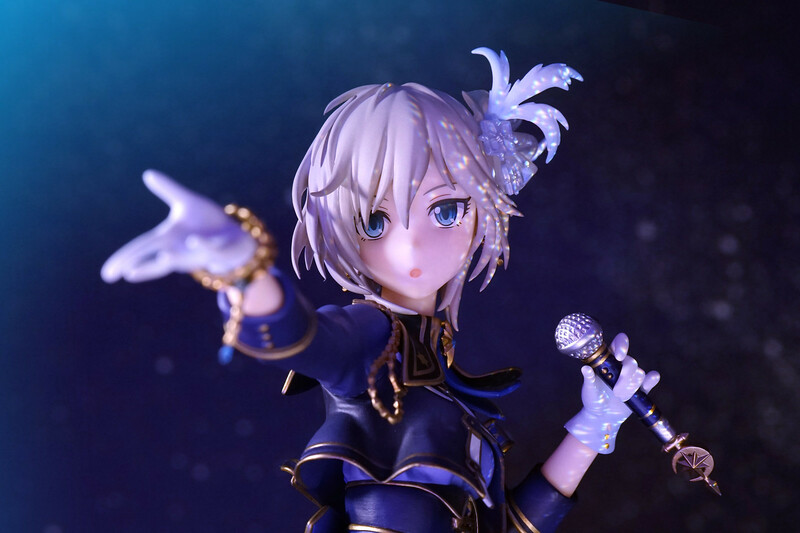 Thanks wieselhead. 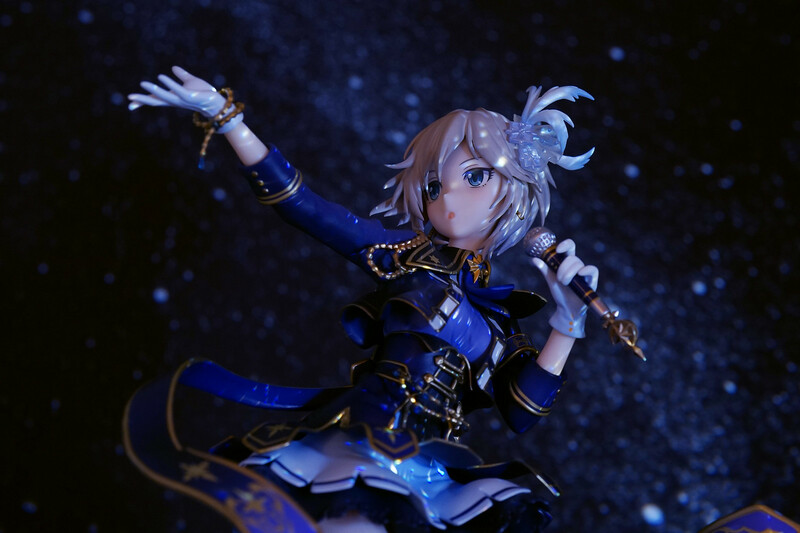 Have been displaying Anya on my desk for months〜It is definitely one of my favourite.